For months, I have been dying to try Fleming's Sunday Prime Rib dinner. For $37.95, this 3 course meal is definitely a savvy find. What is better than this? Well, it is to find the dinner on promotion for $29.99 per person. We caught the last Sunday promotion and came away very happy and full. All the courses are full size, not promotional size. 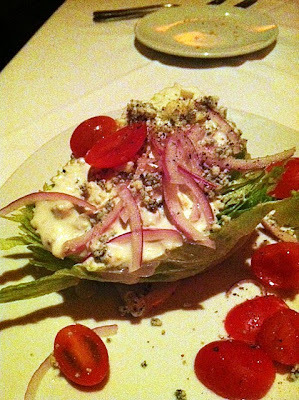 We got to pick from wedge salad, Caesar's salad or chop salad. 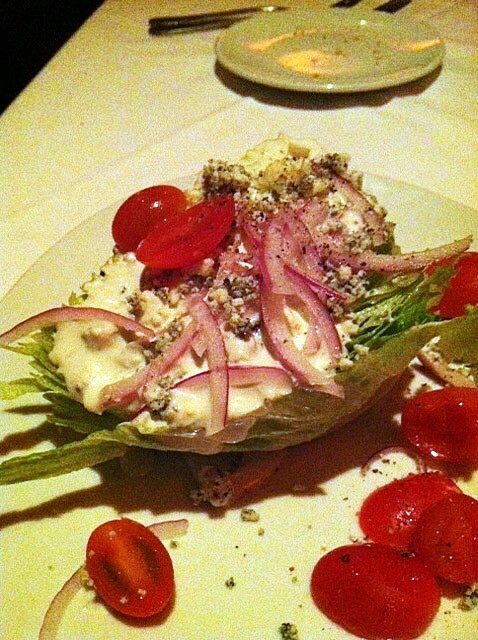 This picture above is the wedge salad with blue cheeses dressing. Caesar's salad was also delicious. We each got a 12 oz serving size of prime rib. It was SO good with 3 choices of dipping sauce. With each dinner, a full side order accompanied the meal. We got cream spinach and I for some reason had a craving for onion rings. 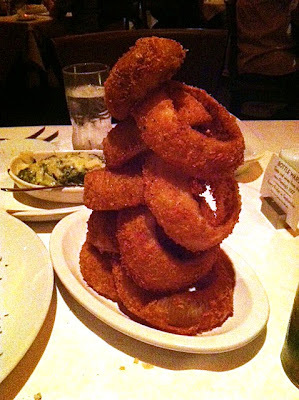 It was a tower of onion rings. Next time, I will pick something healthier. We were able to pick from the choices of side dishes. I adore that we are not limited to side choices. Last but not least, we were able to pick from the dessert menu. 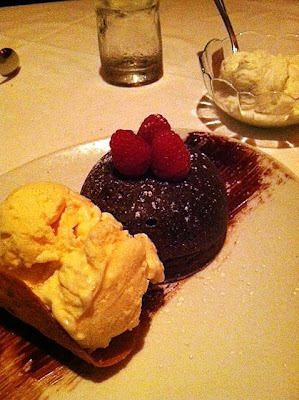 At Fleming's, chocolate lava cake with ice cream is a must. BF and I shared one dessert and packed the carrot cake to go. I wish you all can taste this dessert, just YUM! 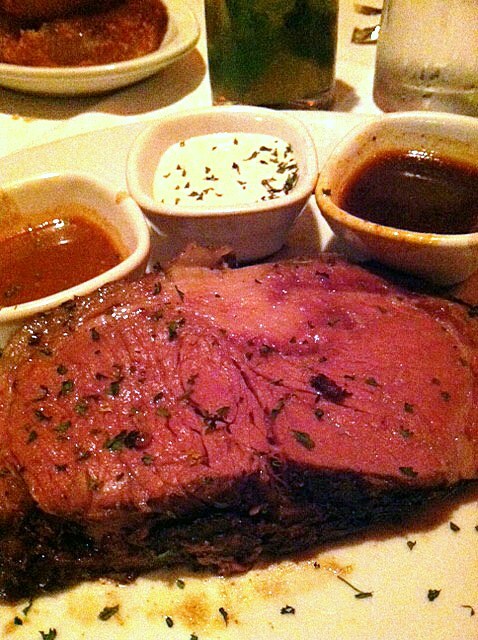 What do you think of Fleming's Sunday Prime Rib Dinner? YUM! This all looks so incredibly delicious. I'm quite jealous! I don't have my beef quite so rare (medium is perfect for me!) but I love me some onion rings and the dessert looks great! It is a great deal. I had it a few weeks ago. Haha wow that prime rib is huge!